On Monday, January 25, The Open Group kicked off its first event of 2016, focused on Enabling Boundaryless Information Flow™, at the Marriott Union Square in the city by the bay, San Francisco, California. President and CEO Steve Nunn gave a warm welcome to over 250 attendees from 18 countries, including Botswana, China and The Netherlands. He introduced the morning’s plenary, which centered on Digital Business and the Customer Experience. 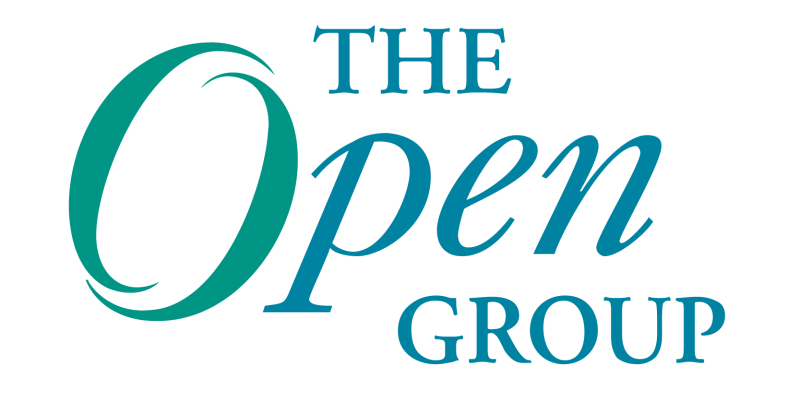 This year also marks a major milestone for The Open Group, which is celebrating its 20th anniversary in 2016. Digital technology is transforming business today. As such, how Enterprise Architects can architect for and deliver better customer experience is a more critical factor for businesses today than ever before. For thousands of years, most business transactions happened face-to-face with human interaction at the heart of them. The Internet has changed that, largely taking humans out of the equation in favor of “intelligent” programs that provide customer service. As Enterprise Architects, the challenge now is to create corporate systems and personas that mimic human interaction to provide better service levels. To achieve that, Harding says, currently companies are looking at a number of improved models including providing microservices, Cloud architectures and data lakes. To better enable the transformation toward digital customer experiences, The Open Group Open Platform 3.0™ Forum is currently working on an interoperability standard to support a variety of services that run on digital platforms. In addition, the Digital Business and Customer Experience Work Group—a joint work group of Open Platform 3.0 and the Architecture Forums—is currently working on customer-based architectures, as well as a whitepaper geared toward enabling better customer experiences for digital business. In the second session of the morning, Mark Skilton of PA Consulting addressed the issue of “The Battle for Owning the Digital Spaces”. Skilton says that in this era of unprecedented digital information, we need to better understand all of that information in order to create business opportunities—however, much of that information is contained in the “gray” spaces in between interactions. Accessing that kind of data provides opportunities for businesses to get a better handle on how to provide digital experiences that will draw customers. It also requires “ecosystem” thinking where what is happening on both the micro and macro levels should be considered. As such, companies must reconsider what it means to be an enterprise, platform or even a service. This requires a new way of looking at architectures that combines both physical and virtual environments to take advantage of those “gray” spaces in people’s lives. By interconnecting or “flattening” out people’s experiences, such as their work, living, commercial or social spaces, they will be allowed to take their digital experiences with them throughout their lives. To enable these things moving forward, architects will need to change their mindsets to think differently and consider experience more rather than just architectures. Behavior, interactivity, psychology, usability—the human factors—of advanced customer experience will need to be considered in the architecture development process more to create more connected spaces to meet people’s needs. Trevor Cheung, Vice President Strategy & Architecture Practice for Huawei Global Services, spoke next on “Architecting for Customer Experience.” Cheung introduced the concept of the ROADS Experience, a principle for designing customer-driven architectures. According to Cheung, ROADS (Real-time, On-demand, All-online, DIY and Social) is critical for companies that want to become digital service providers. As organizations digitalize, they should think more holistically about customer experiences—including both internal (employees) and external audiences (customers, partners, etc. )—moving from an inside-out IT perspective to one that also considers outside-in constituencies. For example, to provide omni-channel experiences, business architectures must focus on the values of stakeholders across the ecosystem—from buyers and their interests, to partners and suppliers or operations. By applying the ROADS principle, each stakeholder, or persona, can be considered along the way to develop an architecture blue print that covers all channels and experiences, mapping the needs back to the technologies needed to provide specific capabilities. Currently two whitepapers are being developed in the Digital Business and Customer Experience Work Group that explore these issues, including a new reference model for customer architectures. In the last morning session Jeff Matthews, Director of Venture Strategy and Research, Space Frontier Foundation, presented “The Journey to Mars is Powered by Data: Enabling Boundaryless Information Flow™ within NASA.” Currently, NASA’s programs, particularly its endeavors to send people to Mars, are being enabled by complex Enterprise Architectures that govern each of the agency’s projects. According to Matthews, nothing goes through NASA’s planning without touching Enterprise Architecture. Although the agency has a relatively mature architecture, they are continually working to breakdown silos within the agency to make their architectures more boundaryless. Ideally, NASA believes, removing boundaries will give them better access to the data they need, allowing the agency to evolve to a more modular architecture. In addition, they are looking at a new decision-making operating model that will help them grapple with the need to buy technologies and setting up architectures now for programs that are being planned for 10-30 years in the future. To help them do this, Matthews encouraged audience members and vendors to reach out to him to talk about architectural strategies. In addition to the event proceedings, The Open Group also hosted the inaugural meeting of the TOGAF® User Group on Monday. Aimed at bringing together TOGAF users and stakeholders in order to share information, best practices and learning, the day-long meeting featured topics relative to how to better use TOGAF in practicality. Attendees participated in a number of breakout sessions regarding the standard, intended to provide opportunities to share experiences and enlighten others on how to best use TOGAF as well as provide suggestions as to how the standard can be improved upon in the future. Allen Brown, current interim CEO of the Association of Enterprise Architects (AEA), and former CEO of The Open Group, also introduced the AEA Open Badges Program for Professional Development. Much like badge programs for the Boy or Girl Scouts, the Open Badge program lets people demonstrate their professional achievements via digital badges that provide credentials for skills or achievements learned. Moving forward, the AEA will be providing digital badges, each of which will include embedded information showing the information learned to earn the badge. Attendees can earn badges for attending this conference. For more information, email OpenBadges@GlobalAEA.org. Monday’s afternoon tracks were split into two tracks centered on Open Platform 3.0™ and Risk, Dependability and Trusted Technology. The Open Platform 3.0 track continued in the same vein as the morning’s sessions looking at how Enterprise Architectures must adapt to the changes due to digitalization and growing customer expectations. Accenture Enterprise Architect Syed Husain gave an insightful presentation on enabling contextual architectures and increased personalization using artificial intelligence. As both consumers and technology become increasingly sophisticated, demands for individualized preferences tailored to individuals are growing. Companies that want to keep up will need to take these demands into account as they evolve their infrastructures. In the Security track, sessions centered on privacy governance, best practices for adopting the Open FAIR Risk Management standard and dealing with cyber security risks as well as how to navigate the matrix of data classification to maximize data protection practices. Concluding the day was an evening reception where event and TOGAF User Group attendees mixed, mingled and networked. The reception featured The Open Group Partner Pavilion, as well as short presentations from The Open Group Architecture, IT4IT™ and Open Platform 3.0 Forums.